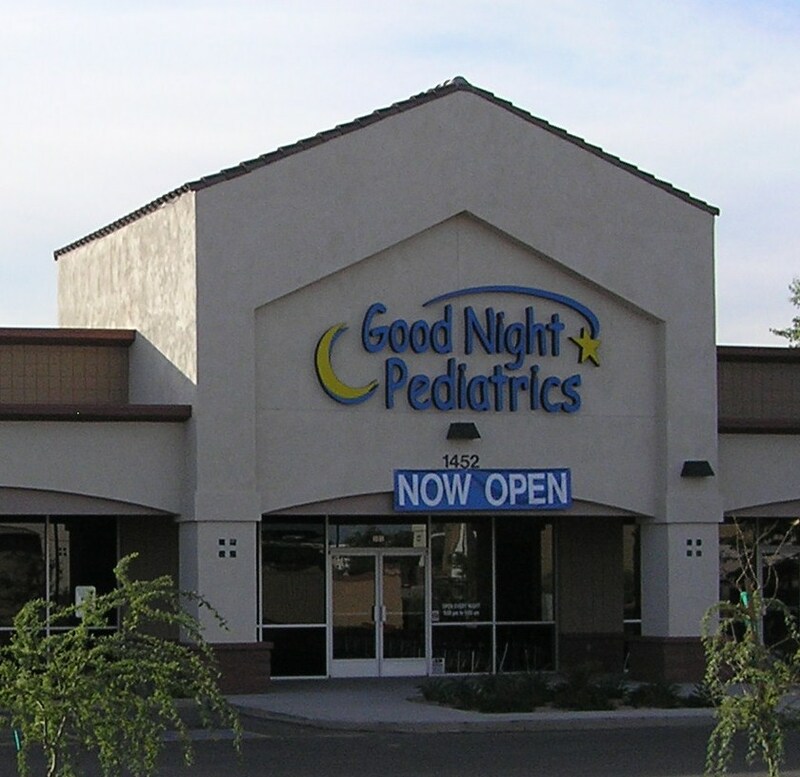 Good Night Pediatrics East Valley opened in November 2006. Children often get sick on evenings and weekends, when their primary physician is not available. Rather than waiting until the next morning or business day, children should receive the right care as soon as they need it, no matter what time or what day that may be. Good Night Pediatrics is open all night, every night, from 5:00pm to 5:00am, and treat children ranging from newborn thru 18 years of age. Their facilities, equipment and supplies are all designed specifically for children. Every aspect of our clinic is designed with the child in mind. Every member of their clinical staff is medically trained and every patient is seen by a Pediatrician. As a Pediatric Urgent Care, in most cases they are better suited to treating a child’s illnesses or injuries than an emergency room. They also have X-ray and laboratory services on site and communicate the treatment the child receives to their primary physician to help ensure the proper follow-up and long term care. Having kids of my own I remember how hard it can be when they are young and the last thing a parent needs when their child is sick is to worry about where to take them late at night. This entry was posted on November 10, 2008 at 6:08 pm and is filed under Uncategorized. You can subscribe via RSS 2.0 feed to this post's comments.